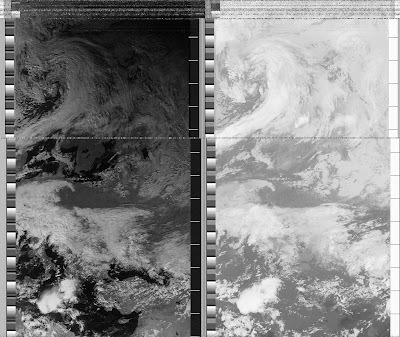 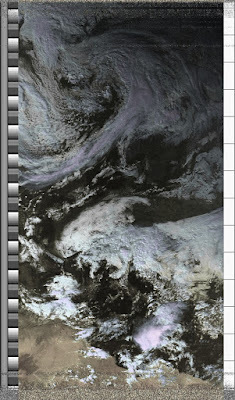 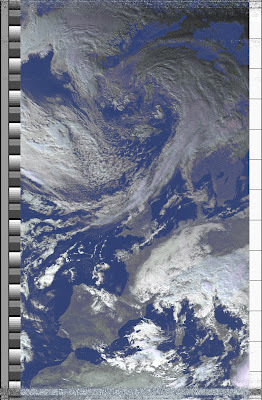 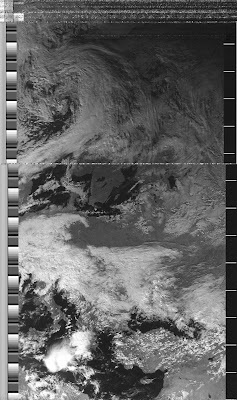 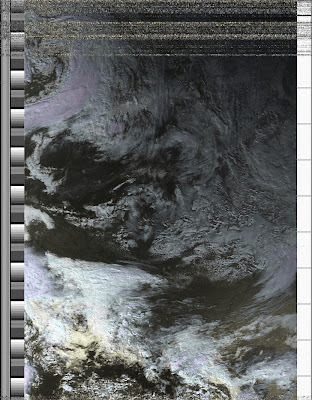 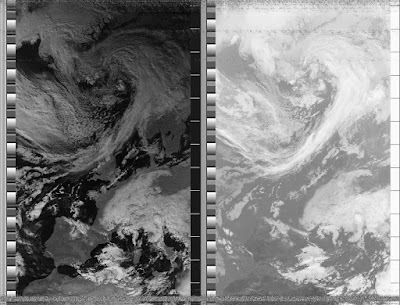 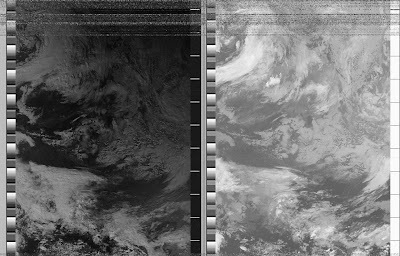 A few APT images received from NOAA 18 and NOAA 19 yesterday. 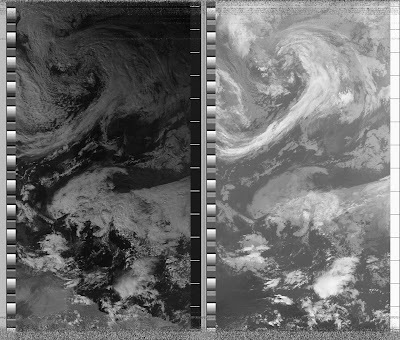 THe setup I used was the very same that I have described earlier. 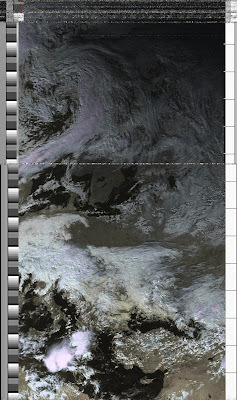 Click on images to see full resolution and image details.